Showing results for tags ' dod'. Please, welcome new VET2VET podcast episode: https://youtu.be/XAoGOTJqbmA All claims for VA benefits begin with an application. Unless there are very unusual circumstances, a claimant should use the form that the VA specifies for the benefit desired. As with all VA forms, you should read the Form instructions carefully and get help if you are unsure of what is required. Starting March of 2015, the VA introduced a new process know as the "Intent to file" using VA Form 21-0966. This form notifies the VA that you intend to file a claim for VA compensation, pension, or survivors' benefits but additional time is required to obtain the information needed for a completed claim. You will have one year after filing the intent to file form to file a complete claim for either: Compensation (VA Form 21-526EZ), Pension (VA Form 21-527EZ), and Survivor's DIC/Death Pension/Accrued Benefits (VA Form 21-534EZ). The date that the VA receives your intent to file for each specific benefit will be protected as the effective date for the benefit that you applied. ★ JOIN US IN OUR COMMITMENT TO YOU AND OUR FELLOW VETERANS ★ ▶ facebook.com/VETOVET2 ▶ itunes.apple.com/us/podcast/vet2vet/id1077206523?mt=2 ▶ twitter.com/VETOVET2 ▶ youtube.com/c/VETOVET2 ▶ plus.google.com/u/0/+VETOVET2 ▶ goo.gl/app/playmusic?ibi=com.google.PlayMusic&isi=691797987&ius=googleplaymusic&link=https://play.google.com/music/m/Iiqawbuzg7eviiyqm6xz7kju62m?t%3DVET2VET ▶ feeds.soundcloud.com/users/soundcloud:users:198832065/sounds.rss ▶ soundcloud.com/vet2vet ▶ stitcher.com/s?fid=80842&refid=stpr ★ LIMITED LIABILITY CLAUSE ★ THE INFORMATION AVAILABLE THROUGH THE VET2VET MAY INCLUDE INACCURACIES OR ERRORS. CHANGES ARE PERIODICALLY ADDED TO THE INFORMATION HEREIN. VET2VET MAY MAKE IMPROVEMENTS AND/OR CHANGES OF THE CONTENT AT ANY TIME. ADVICE RECEIVED VIA VET2VET SHOULD NOT BE RELIED UPON FOR PERSONAL, MEDICAL, LEGAL OR FINANCIAL DECISIONS AND YOU SHOULD CONSULT AN APPROPRIATE PROFESSIONAL FOR SPECIFIC ADVICE TAILORED TO YOUR SITUATION. IF YOU ARE DISSATISFIED WITH ANY PORTION OF VET2VET, YOUR SOLE AND EXCLUSIVE REMEDY IS TO DISCONTINUE CONSULTING VET2VET. Please, welcome new VET2VET podcast episode: https://youtu.be/mrb4sRsQG9c Today we are joined by Thomas Wendel, DAV National area supervisor for West Cost Region. Some questions we covered with Tom: - how do you see the claim process and the best ways DAV thinks could give a veteran better odds? - if a veteran was to go to the DAV to file a claim, what should they bring with them to file a proper claim? - what are some basic conditions you see people file for on average? - what are common errors you see veterans make when filing a claim? - what do you think about ebenfits? if they like it, how can a vet sign up for ebenefits? - what can a veteran expect when going to a QTC or MSLA exam? - how is the claim process going currently? 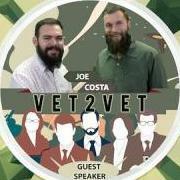 ★ JOIN US IN OUR COMMITMENT TO YOU AND OUR FELLOW VETERANS ★ ▶ facebook.com/VETOVET2 ▶ itunes.apple.com/us/podcast/vet2vet/id1077206523?mt=2 ▶ twitter.com/VETOVET2 ▶ youtube.com/c/VETOVET2 ▶ plus.google.com/u/0/+VETOVET2 ▶ goo.gl/app/playmusic?ibi=com.google.PlayMusic&isi=691797987&ius=googleplaymusic&link=https://play.google.com/music/m/Iiqawbuzg7eviiyqm6xz7kju62m?t%3DVET2VET ▶ feeds.soundcloud.com/users/soundcloud:users:198832065/sounds.rss ▶ soundcloud.com/vet2vet ▶ stitcher.com/s?fid=80842&refid=stpr ★ LIMITED LIABILITY CLAUSE ★ THE INFORMATION AVAILABLE THROUGH THE VET2VET MAY INCLUDE INACCURACIES OR ERRORS. CHANGES ARE PERIODICALLY ADDED TO THE INFORMATION HEREIN. VET2VET MAY MAKE IMPROVEMENTS AND/OR CHANGES OF THE CONTENT AT ANY TIME. ADVICE RECEIVED VIA VET2VET SHOULD NOT BE RELIED UPON FOR PERSONAL, MEDICAL, LEGAL OR FINANCIAL DECISIONS AND YOU SHOULD CONSULT AN APPROPRIATE PROFESSIONAL FOR SPECIFIC ADVICE TAILORED TO YOUR SITUATION. IF YOU ARE DISSATISFIED WITH ANY PORTION OF VET2VET, YOUR SOLE AND EXCLUSIVE REMEDY IS TO DISCONTINUE CONSULTING VET2VET.